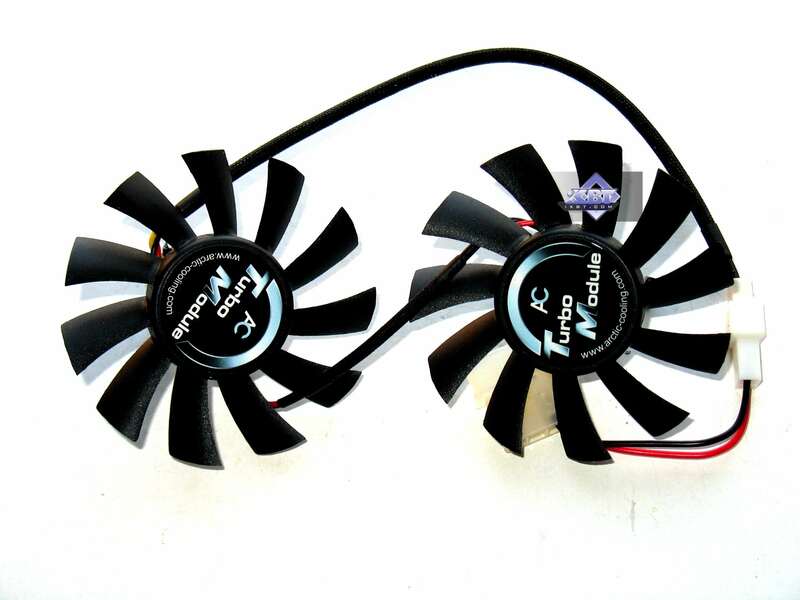 Now let's take a look at cooling systems. 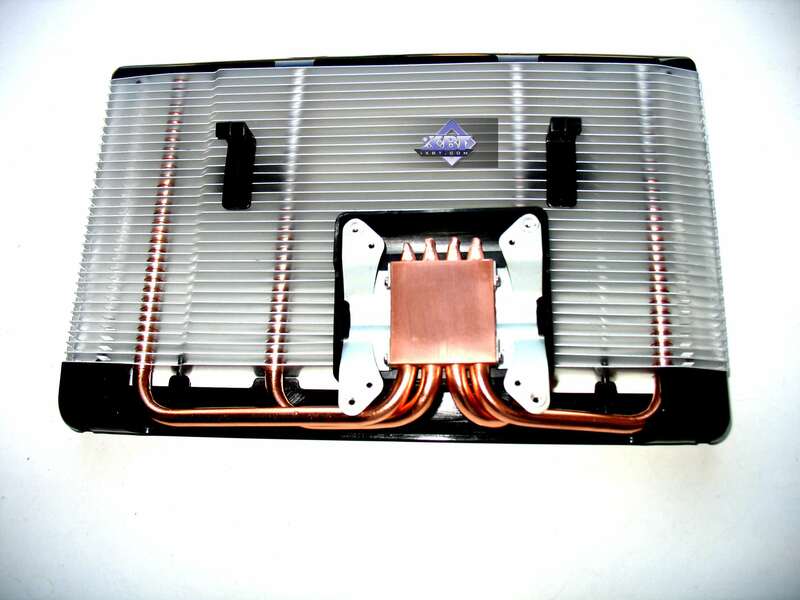 The company equipped the product with a very expensive cooler with heat pipes and a cup-shaped heatsink. 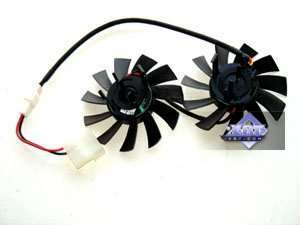 A low-speed fan is installed in the center of the cup, so the cooler is noiseless. Unlike the previous product, this one uses a familiar simple cooler with a closed heatsink and an off-center fan to drive air through. 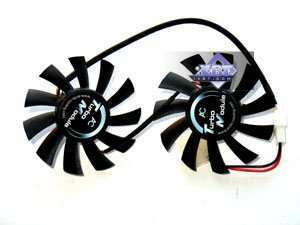 Fan speed is low, so there is almost no noise. 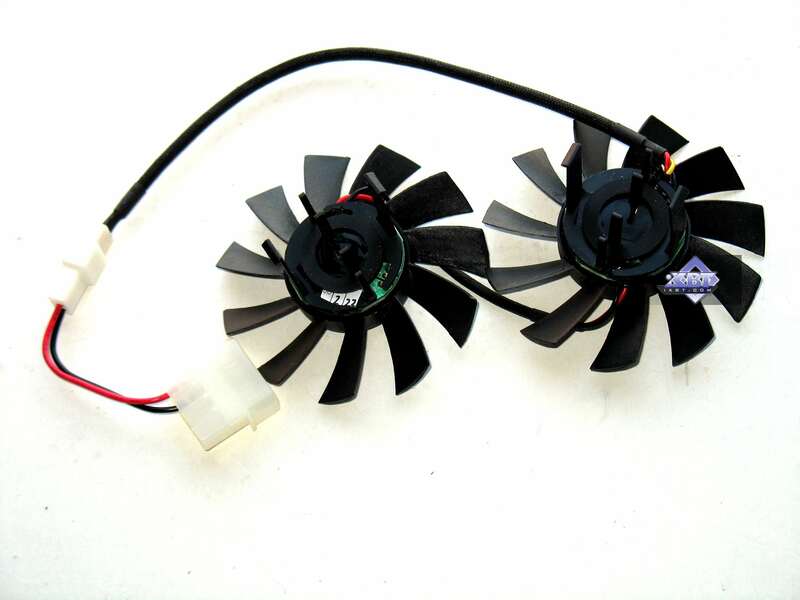 However, such coolers may be noisy. 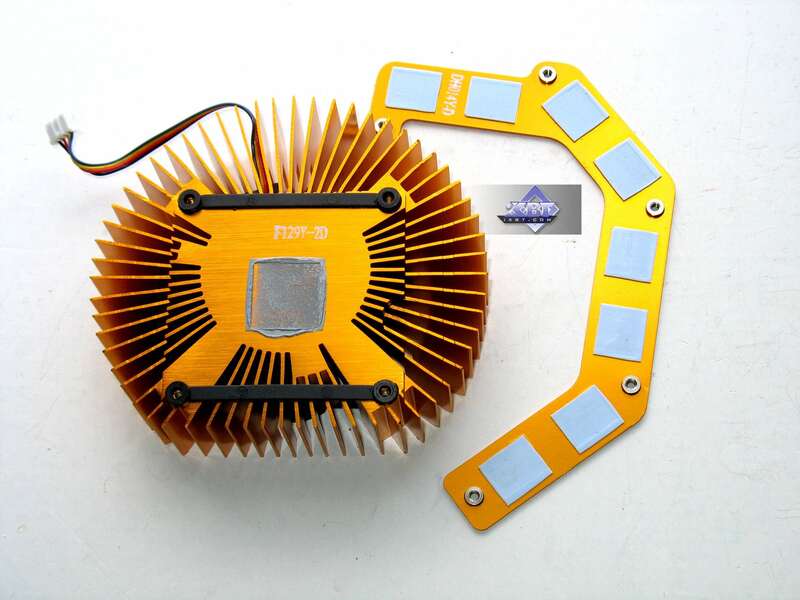 A similar cooler, only the heatsink is much bigger. 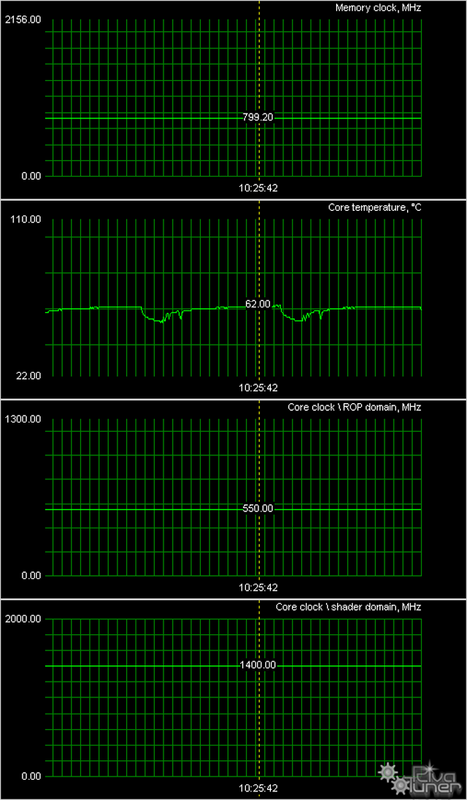 The cooler is almost noiseless, no gripes with that. 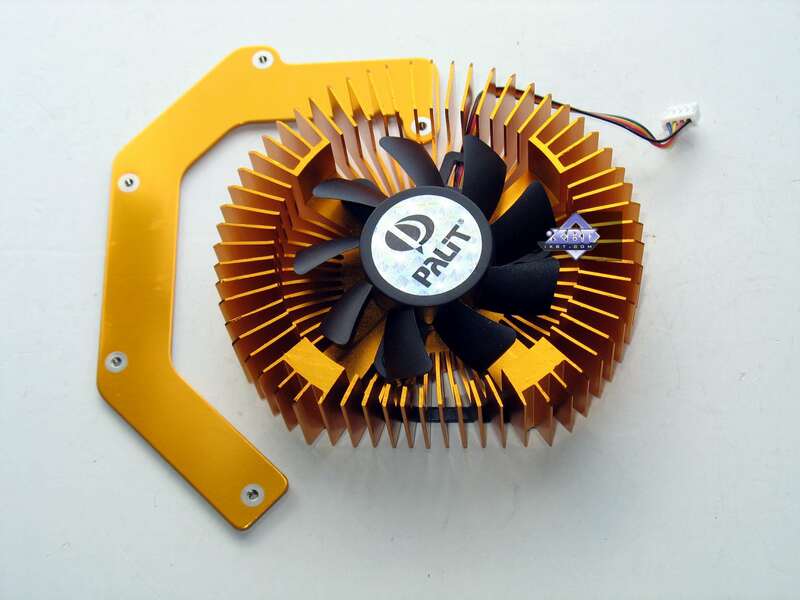 That's a well-known cooler, which Palit uses in its new products. 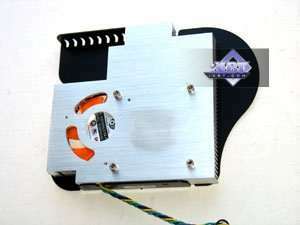 It consists of a central massive round heatsink (so it takes up two slots in a PC enclosure) and a plate for cooling memory chips. 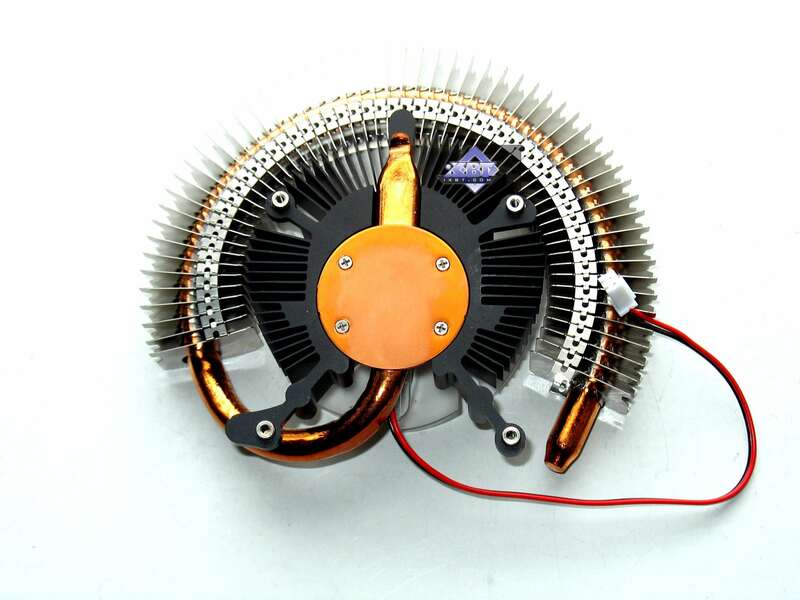 The central cooler has a low-speed fan, but it still generates audible noise. 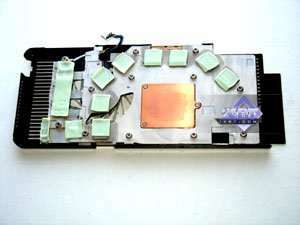 A standard cooling system, which the company used in 8800 GT cards. It differed from the reference system by a larger fan and some other details to make it more efficient and less noisy. 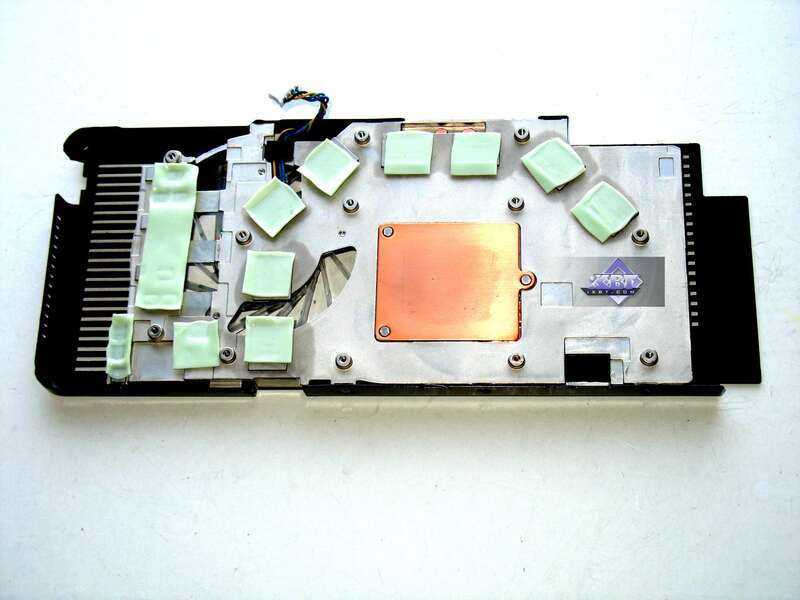 It's a long closed heatsink that covers the GPU and memory chips, a fan installed at the end of the heatsink drives air through the system. 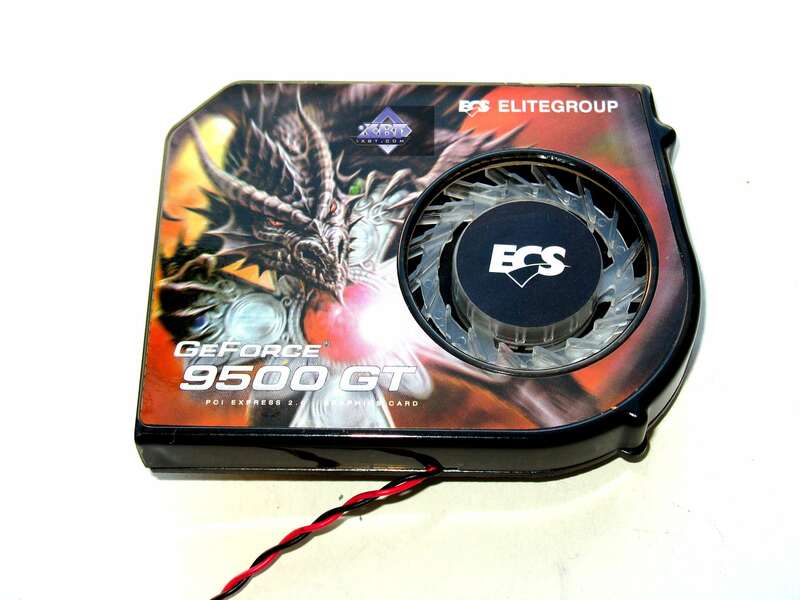 We've already seen this cooler in the 8800 GT card from ECS. 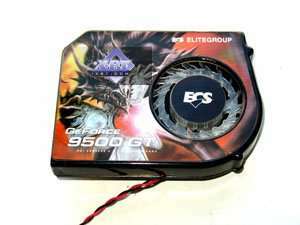 This revision of 9800 GT is also equipped with this cooler from Arctic Cooling -- Accelero S1. 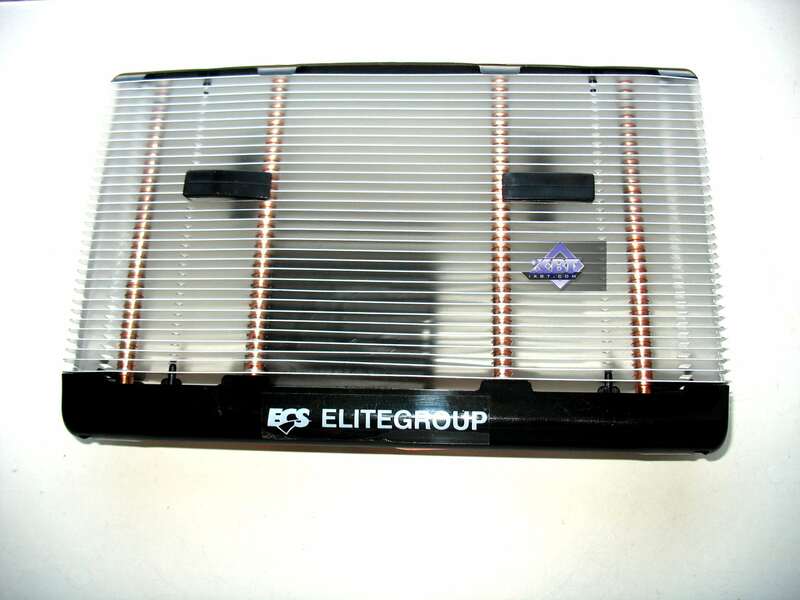 A huge heatsink successfully combines technologies of heat dissipation through the large surface and heat pipes to channel the heat to the fins. 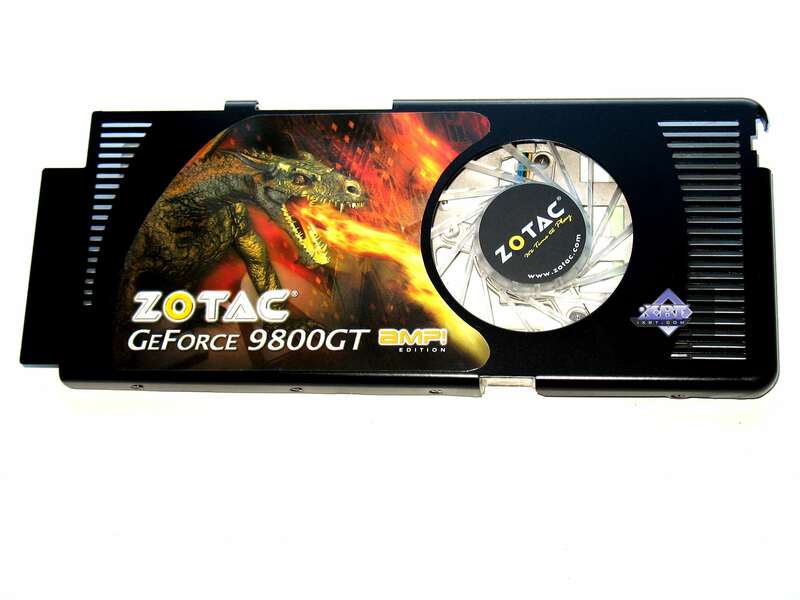 This device covers the GPU only. 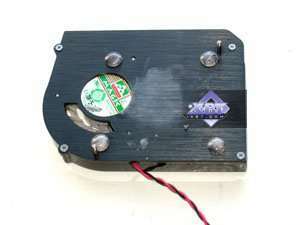 It's secured with screws and latches on the PCB. 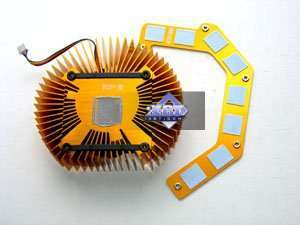 Memory chips come with individual small heatsinks. It must also be noted that the cooling system is bulky and blocks the second slot after PCi-E x16. 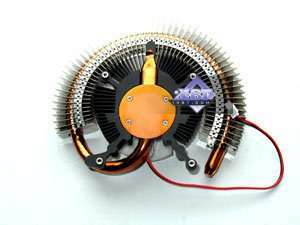 Moreover, the bundle includes additional fans, which can be installed on the heatsink. 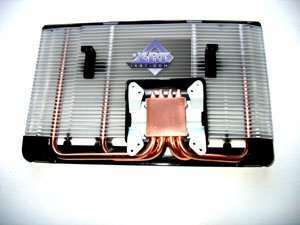 In this case, you will have a three-slot cooler. 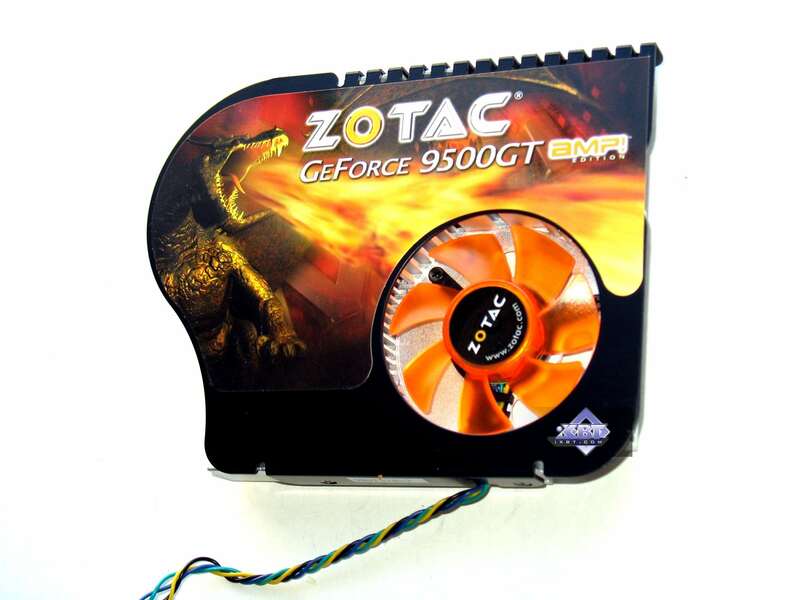 This cooler resembles the one installed on the card from Zotac. 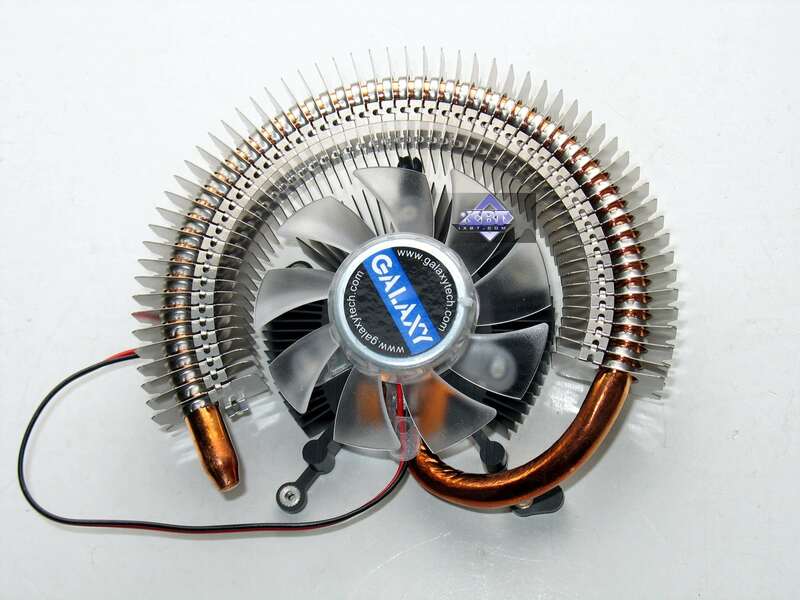 However, it has some peculiarities, a tad shorter heatsink in the first place. 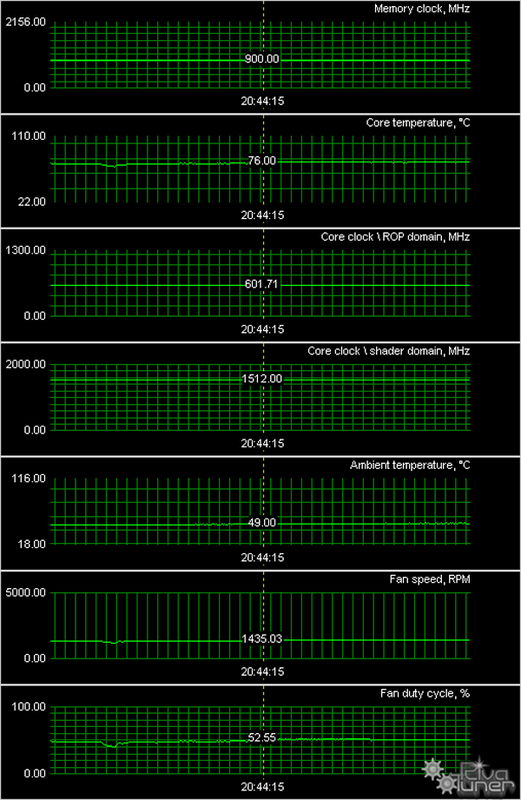 The rest is identical. 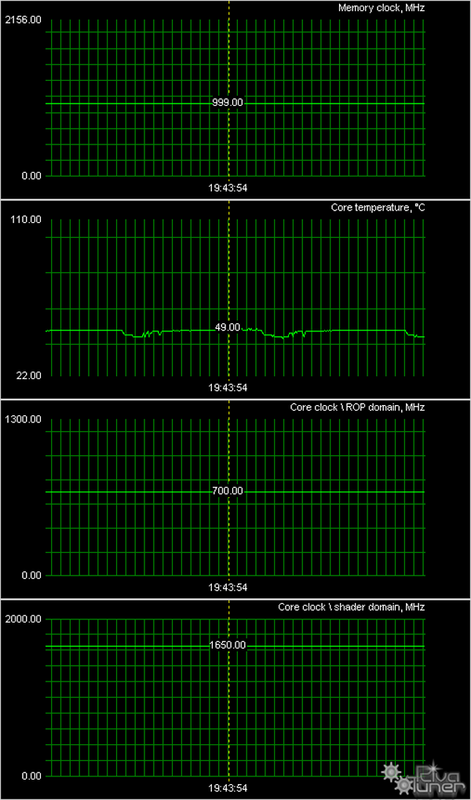 We monitored temperatures using RivaTuner (by A.Nikolaychuk AKA Unwinder). 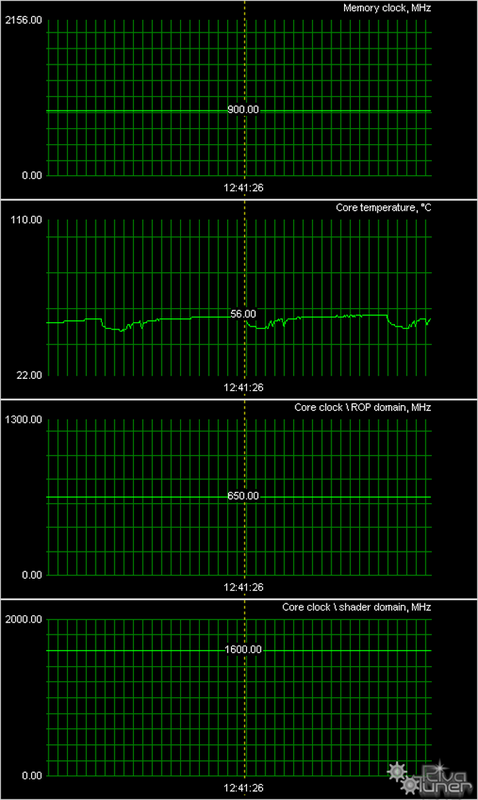 Here are the results (as both cards are copies of the reference design and have the same frequencies, we provide the common result). 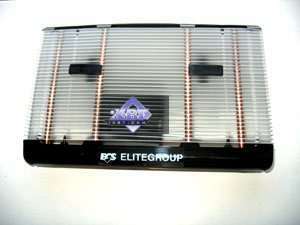 Let's analyze the above diagrams. 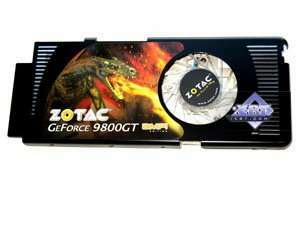 Zotac 9800 GT card operating at the increased frequencies demonstrates high efficiency of its cooling system, core temperature was below 75°C. 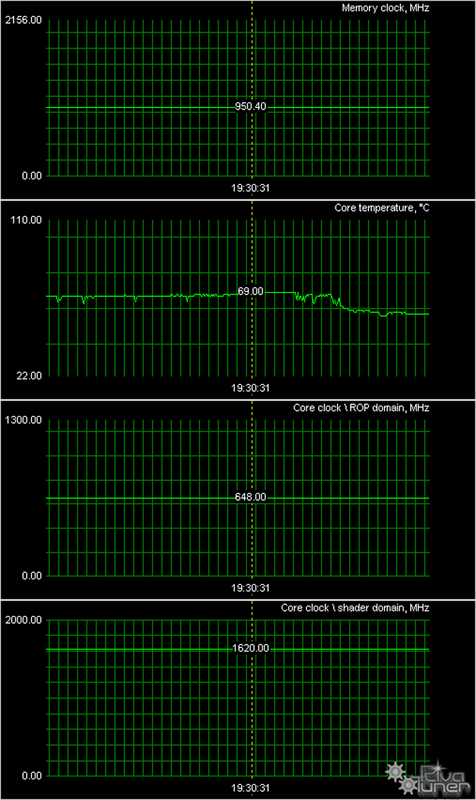 The weaker 9500GT card from the same manufacturer does not reach the 60°C level (core), even though it operates at the increased frequencies -- its cooler is really good. 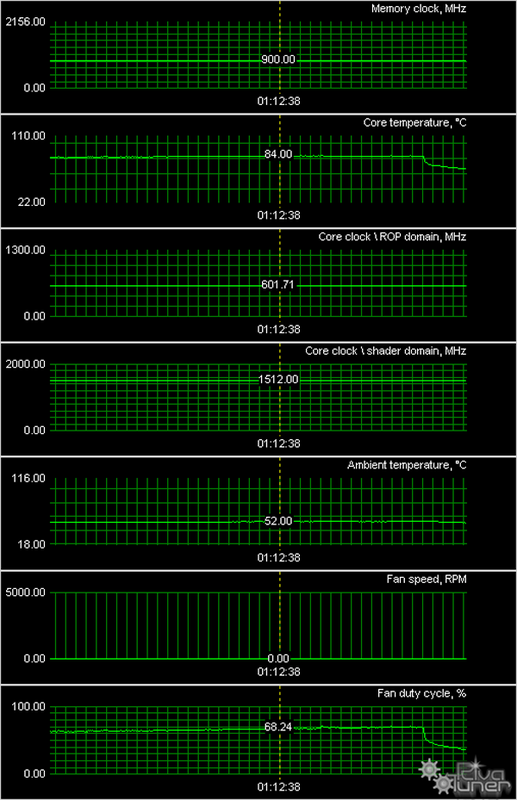 The cooler installed on the card from Palit proves to be just as efficient, it demonstrates very good results -- below 65°C. 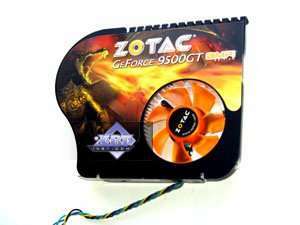 The cooling system from ECS 9800 GT (Fan Edition) expectedly hasn't gone far from its counterpart on the card from Zotac -- we have similar temperature readings and the same conclusions. The passive cooler also copes well with its responsibilities, especially considering that we didn't install additional fans. 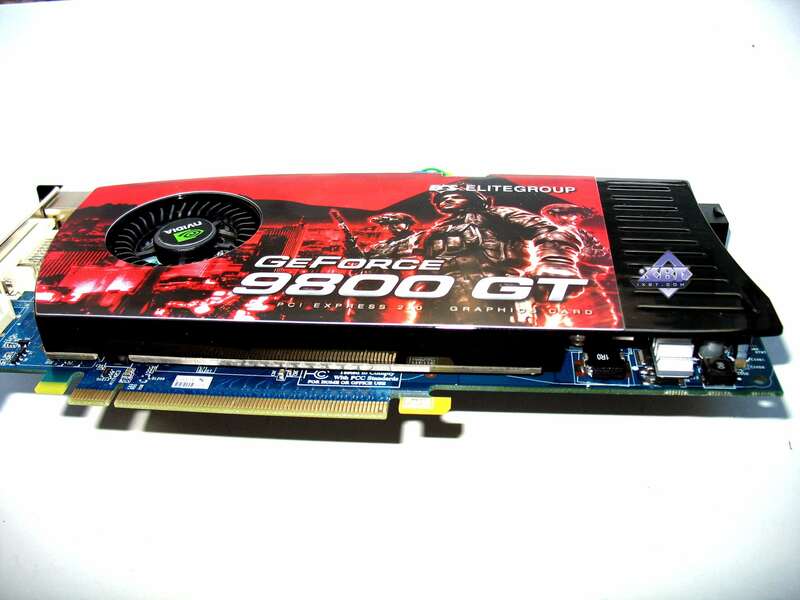 What concerns the 9500GT card from ECS, it operates at the standard frequencies, so a usual small cooler works well here. 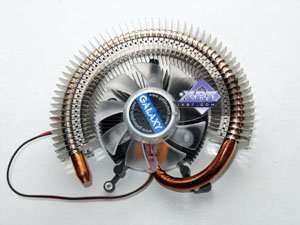 And the luxurious cooler with heat pipes on the card from Galaxy demonstrates superhigh efficiency despite high operating frequencies.